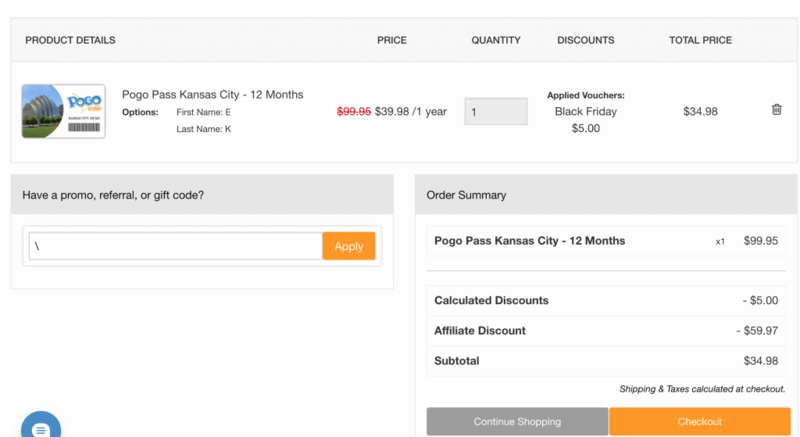 Are you looking for Pogo Pass Deals for Kansas City. Are you like me and as of yesterday had no clue what Pogo Pass was? I learned and I am so excited to share with all of you! Pogo Pass is as offer that gives you all of these experiences in Kansas City paid for by having one. A Pogo Pass is good for 365 days and is only available in select cities. Right now there is a huge deal that will save you and your family tons of money if you sign up! I am going to focus on the Pogo Pass for Kansas City but if you live in other cities listed below be sure to check out what they offer for you! 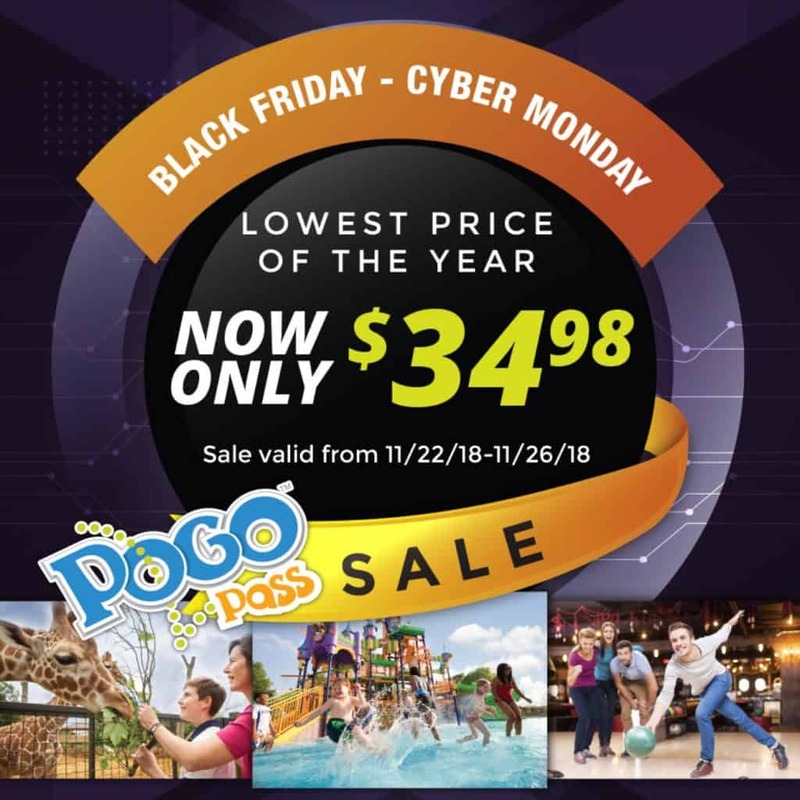 Right now a Pogo Pass retails for $99.95 which is a huge savings if you add up everything you get but it is on sale for only $39.98 with a LIMITED time only $5 off making your total when you place one membership in your cart ONLY $34.98. Pogo Pass Black Friday Sale – 60% off + $5 off = $34.98! If the $5 doesn’t appear in your cart, use our Enza’s Bargains unique coupon code “ENZA” at checkout. Use this link here for ultimate savings. 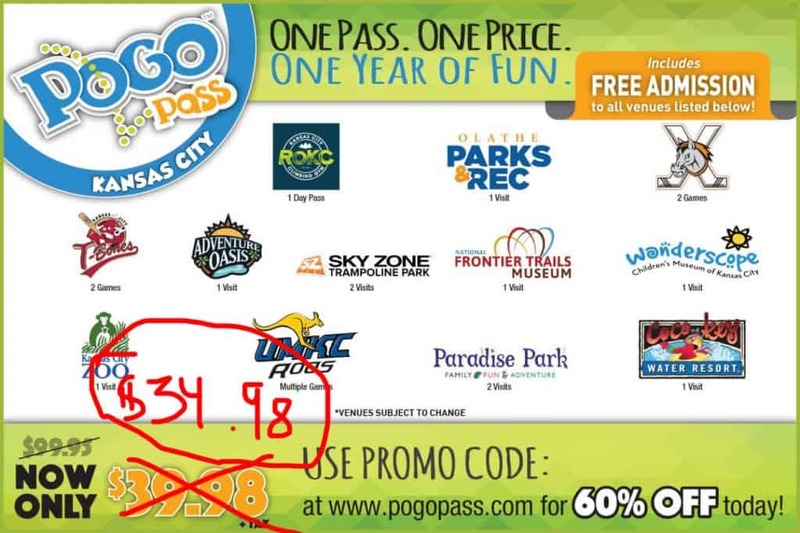 So for ONLY $35, if you are in Kansas City you get the following: 1 Pass to Wonderscope ($8 value), Black Bob Bay Waterpark in Olate ($6 value),Two (2) Visits to Paradise Park Family Fun (with ability to use one of the activities Go Kart, Laser Tag, and more about $14 value), One (1) general admission ticket to ALL of the following 2018 UMKC Kangaroo athletic home games. Members can attend Four (4) games for each sporting event ($32 value), 2 passes to Sky Zone ($32 value),One (1) general admission ticket to the Kansas City Zoo ($16 value),One (1) General admission ticket to National Frontier Trails Museum ($6 value), Tbones ($13), Science City($13), ROKC Climbing Wall ($15 value) ,Two (2) Kansas City Mavericks Hockey games during the 2018-19 season ($28 value), One (1) General admission ticket to the Museum of Prairiefire Foundation ($10), One (1) general admission ticket to Coco Key Water Resort ($9 value). *These values are estimates. Right now Pogo Pass is only available in Phoenix, Las Vegas, Dallas, Austin, San Antonio, and Kansas City! Let us know your favorite offer!